When confronted with a legal matter, people often turn to the courts to help settle their disputes. Litigation, however, may not always be your best option, as it can be a drawn-out and costly process. Depending on the circumstances of your case, your attorney may suggest alternative means for resolving your legal issues. Following is an explanation of these alternate options. provide confidentiality since agreements reached through ADR proceedings are not public record. Alternative Dispute Resolution employs various methods for resolving legal issues. Two of the most common are Arbitration and Mediation. Arbitration is an informal hearing in which a panel consisting of one or three arbitrators hears statements from both sides of the dispute, after which the panel determines the terms and conditions of a resolution. With a one-member arbitration panel, all parties to the dispute must agree on the arbitrator; with a three-member panel, each side chooses an arbitrator. The two arbitrators together then select a third arbitrator to complete the panel. Arbitration hearings generally last between a few days and a week, at the end of which time an agreement is reached. These agreements can be binding or non-binding. In a binding arbitration, the decision is final and cannot be reviewed or overturned by a court, with a few exceptions. In a non-binding arbitration, on the other hand, either side has the right to reject the arbitrator’s decision and proceed through the courts. In this process, a mediator serves as a neutral party to help facilitate discussion and resolution of legal disputes. Mediators are trained negotiators and while most are also attorneys, they do not provide legal advice to either party involved in the mediation. If you choose to have legal representation present at your mediation, although it is not required, you must retain separate counsel. Similar to arbitrations, mediations are informal procedures generally conducted in a relaxed setting. The parties involved in the mediation set the duration of the proceedings, generally one half-day or full-day session. The negotiations are confidential and non-binding; once a resolution is reached, however, parties on both sides of the issue sign an agreement making it a binding contract. Sometimes mediation can end in an impasse rather than a resolution to the dispute. In that case, the parties involved can pursue other methods of resolving their issue. If your attorney advises you to proceed with an Alternative Dispute Resolution, Rotolo Karch Law can be of assistance. 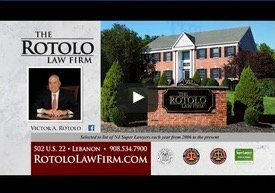 Founder Victor A. Rotolo and Partner Steven J. Karch are experienced in the areas of mediation and arbitration and are prepared to assist in the process recommended by your attorney. Additionally, the Firm offers a convenient, neutral location for holding these proceedings. The Rotolo Karch Law building offers two large conference rooms with an additional breakout room for parties to have private discussions and meetings during the ADR proceedings. For more information on our Alternative Dispute Resolution practice, please visit our ADR website or call our Firm.